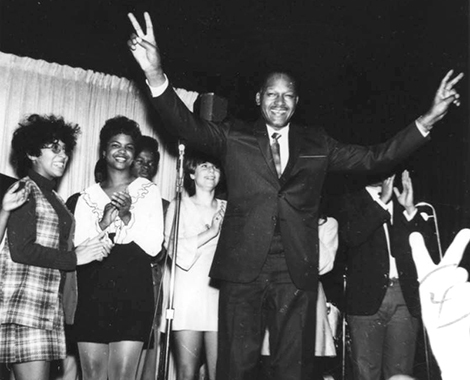 Mayor Tom Bradley was my Mentor, Friend and Role Model. He personally gave me good advise as to what I must do to be a perfect civil servant “Put the the people FIRST”, also in the 1980’s I was his Scout to see what is needed in the City of Los Angeles. 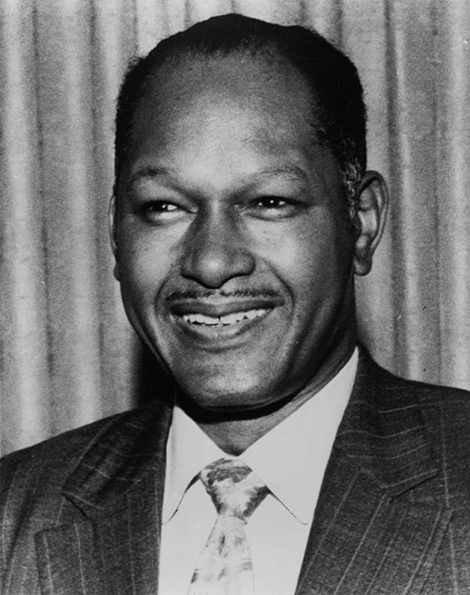 The Library, the International Airport is dedicated to Mayor Tom Bradley. he was Mayor of Los Angeles for 20 years, before he served as Mayor of the City of Los Angeles he served as Councilman and Police Chief who put away his pride and walked the streets. Also he did not put fame ahead of duty, he appointed a Janitor employed by the City of Los Angeles who name was “Gilbert Lindsey”, who is responsible for the Figueroa Corridor “Convention Center” Thank you “Mayor Tom Bradley” and Councilman Gilbert Lindsey, also Councilman Gilbert Lindsey was my neighbor for 30 years he resided in the district he represented. Also Mayor Tom Bradley walk the beat on Central Avenue many of the old timers said he was polite and very stern!! The Tom Bradley Wing of the Central Library is a fitting tribute to the enlightened man who presided over Los Angeles for five terms as mayor. During his long tenure, he both inspired and executed amazing growth. As we celebrate the 25th anniversary of the wing named in his honor, a major question one may ask is, why was Tom J. Bradley so important to the Central Library? The family moved again, in 1924, to Los Angeles, near Temple and Alvarado streets, when there were now five children: Lawrence, Tom, Willa Mae, Ellis who was diagnosed with cerebral palsy at a young age, and Howard. Bradley excelled in school with the support of his family. He attended Polytechnic High School where he was recruited to attend due to of his athletic abilities in track and football. These early successes in his academic career propelled the studious Bradley to consider leadership as a personal goal. He earned an athletic scholarship to UCLA in 1937 where he excelled once again, but by Bradley’s junior year at UCLA, he felt the pull of public service and took the entrance exam for the Los Angeles Police Department. Placed near the top of the examinees [earning a 97], he left college to enter the department academy in 1940. His effectiveness in bringing groups together while a police officer led to his next goal: serving on the Los Angeles City Council. He applied for the 10th District seat in June 1961 while still a police lieutenant, losing to Joe E. Hollingsworth. He ran against Hollingsworth three years later in April 1963, winning not one but two elections, one for the unexpired term left by City Controller Charles Navarro, and the other for a full four-year term. Bradley was sworn in as a City Councilman, the first African American to do so, on April 15, 1963. In 1969, he ran for mayor against the incumbent Sam Yorty, but lost. Most political pundits agree it was because of an egregiously racist campaign waged by Yorty. Undaunted, Bradley ran again in 1973 and won. He had his sights set on redevelopment and making LA an international city/hub. 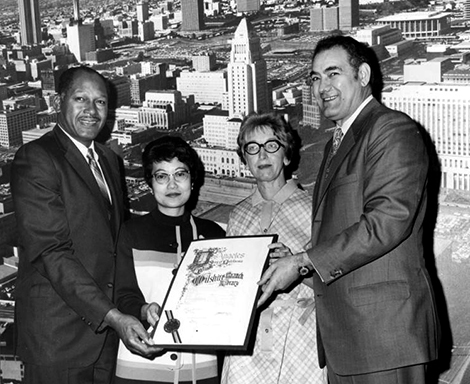 With the passage of the Community Redevelopment Agency (CRA) 1974 redevelopment plan, places like the Bunker Hill financial district, the Warner Center, and Century City were developed to what it looks like today. Other projects include the construction of Los Angeles’ light rail network and expansion of the Los Angeles International Airport which would later bear Bradley’s name with its completion in 1984. 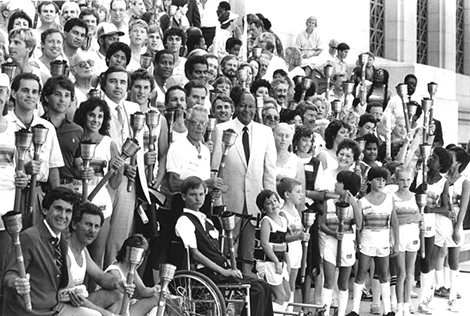 That year was a highlight on another level, as Bradley was the key to bringing the 1984 Summer Olympic Games to Los Angeles. Bradley spent just as much time planning and developing, as he did to establish human relations commissions in the city. He supported various ethnic and special interest groups with a focus on education and connecting Angelenos together. None of his efforts were as far-reaching as his redevelopment plans for DTLA. He encouraged the inclusion of historic buildings in the development push and played a vital role in evaluating and preparing historic buildings in the event of emergencies like earthquake or fire. As the driving force in establishing a fire safety plan for the Central library in 1978, he worked with the Los Angeles City Fire Department (LAPD) to install fire alarms in 1980-1981, and created emergency first response drills and practices. Bradley’s foresight led to the swift and successful response to the first of two arson fires at the library on April 29, 1986, with no casualties among the 750 people involved at the scene, including patrons, employees, and firefighters. Bradley’s strategic vision for the library brought together developer Robert F. Maguire III, ARCO CEO Robert O. Anderson, and City Council’s Community Redevelopment Agency (CRA). He spearheaded the financing plan for the library which included the utilization of investment tax credits and tax allocation bonds, however, the most creative solutions proposed by the team of Maguire, Anderson, Bradley and the CRA was the sale of unused air rights (the vacant space from the top of the building to the maximum allowable building height on the site) of the Library. Maguire Thomas Partners subsequently purchased the library’s air rights for $125 million, almost the entire amount needed for the library’s expansion at $152 million. Under the terms of the agreement among the city, CRA, and the library commission, created after five years of complex negotiations led by Bradley, the deal to “transfer” the unused space was signed in January of 1985. Thanks to the creativity, persistence, and negotiation skills of Bradley and the other principals, the library’s renovation and expansion began. The east addition of the library was named for the man with the “creative air rights plan”. After Bradley’s last term expired, he retired only to endure several years of health complications. He died at the age of 80 and was buried in Inglewood Park Cemetery. Like Mayor Tom Bradley, the Los Angeles Public Library is a force for change, echoing his mission of improving the lives of all in the city. We provide free and easy access to information, ideas, books and technology that enrich, educate and empower every individual in our city’s diverse communities. Visit us today! Associated Press, Bill Of Rights, Book of Job Chapter 23 Verse 10, Broadcast Radio, cbs, Cell Phone, Chicago Type Politics, Citizens, Civil Rights, cnn, Controlling and Manipulating, Corporations, Discrimination on grounds such as race, gender, sexual orientation, gender identity, national origin, color, ethnicity, religion, or disability, Educators and Teachers, FACEBOOK EDUCATIONAL ACKNOWLEDGMENT, For the People, By The People, Of People, Fox News, Freedom of Thought, Freedoms of thought, Gettysburg Address, GOD knows the way I will take, I Shall Come Out Like Shiny GOLD, improper, INJUSTICE, Justice, United States, Fairness, Of the People, By the People, Abraham Lincoln, KABC-7, Media Maltipulation, New Times, New York Times, News, Pat Harvey, People, Political Rights, Rutgers, Schools of Law, SCOTUS, Supreme Court of the United States, televised debates, Tourists, United States of America, Without Discrimination or Repression. Addie M. Miller’s Divine Mission is Promoting and Advertising the “CLEANING-UP” starting with the MEDIA MANIPULATION OF THE VOTERS & CONCEALMENT OF INFORMATION TO THE VOTERS. Former Los Angeles Councilman Nate Holden, stated during council meeting, the election process in the City of Los Angeles is reminiscent of Chicago style politics, further we don’t want Chicago style politics in the City of Los Angeles, Quoted by former Nate Holden and Councilman Rudy Svorinich, Jr. In my opinion the 2013 primary election was Chicago style politics by the television Media here in the City of Los Angeles.